Along with a house and a college education, a car is often one of the most expensive things you’ll ever purchase. Unlike with college tuition (which you can’t negotiate at all), or a house (which you typically negotiate through a real estate agent), haggling over the price of a car requires in-the-moment, face-to-face interaction. The experience can certainly be a stress- and anxiety-ridden one; most of us don’t practice our negotiating skills on a regular basis, and certainly not with car salesmen, who are often really good at their job. Adding to the anxiety begotten by a lack of experience, is the fact that customers typically only possess the haziest idea of how car dealerships actually make money. This puts them at a true strategic disadvantage. Knowledge is power, so today we’ll walk you through how car dealerships turn a profit, how this understanding can help empower you in the transaction, and the key strategies for negotiating the best deal on a new or used vehicle. A customer wants to pay as little money as possible for their new ride; a car salesman wants to make as much money as possible on the customer’s purchase. To ensure you’re engaging on an even playing field with the dealership, you need to know exactly how they make a profit. Armed with this knowledge, you’ll know where there’s more wiggle room in the negotiation and where there’s not; where there’s flexibility in the deal and where the salesman is going to put more pressure. So let’s break it down. 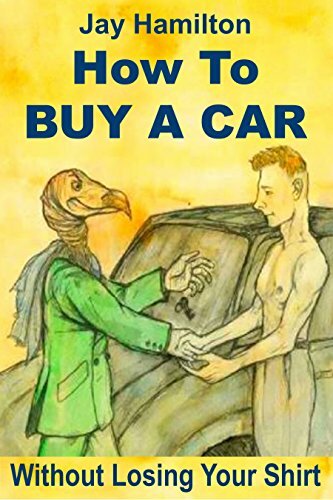 HOW TO BUY A CAR: With... Jay Hamilton Check Amazon for Pricing. Sale of new cars. You might think dealerships make most of their money from these shiny showroom centerpieces, but you’d be wrong. Dealers often sell new cars for close to their invoice price, i.e., what they paid the manufacturer for it. Their only profit then, comes from what’s called “dealer holdbacks,” which the manufacturer pays the dealer upon sale of a car. These holdbacks are typically 2-3% of the car’s invoice or sticker price (the MSRP — Manufacturer’s Suggested Retail Price); so on a $25,000 vehicle, that’s $500-$750. The manufacturer might also offer the dealer other bonuses or incentives. The dealer will only net this cash, however, if they didn’t sell the car to the consumer for a similar amount of money below its invoice price. For that reason, dealerships actually often lose money on the sale of new cars, hoping they’ll make up for the loss in the other revenue-generating categories listed below. Sale of used cars. Dealerships often make more money on used cars than new, because there’s a bigger differential between what they bought the car for as a trade-in (or at an auction) and what they retail it for to the consumer. There’s also more wiggle room on the retail price, as the value of used cars varies by year, condition, location, etc., whereas new cars all have the same MSRP. Even though the dealer has to invest in giving a trade-in a tune-up/clean-up, they can still make several thousand (though the profit can also be much lower), simply depending on what they paid on the trade-in and how deep of a discount they’re willing to offer the customer. Finance and Insurance. You probably think of a dealership’s finance department as kind of an afterthought, an encore to the closing of the big deal on the car itself. But in fact, dealerships make almost 37% of their gross profits from F&I products — financing, warranties, etc. It’s a very important source of their income. Service and Parts. The service sector of a dealership is where it actually makes the majority of its money — about 44% of gross profits, to be exact. In other words, car dealerships, on average, make less than 20% of their money on the actual sale of cars. Now that you know the breakdown, let’s put this knowledge to use when negotiating a deal on a new or used vehicle. 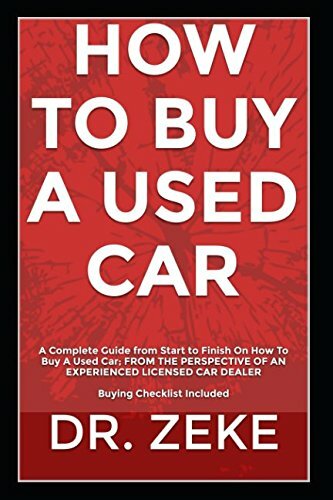 Car salesmen will often try to put the price of the car itself together with the cost of financing/warranties/add-ons/trade-in/ect., so that the bundle deal obscures the price you’re paying for each “product.” But you want to not only break out each cost, but intentionally negotiate all of them. Obviously this is the biggest nut; by successfully negotiating down the purchase price of your vehicle, you can potentially save yourself thousands of dollars. Do your homework, and lots of it. Since it’s such a large purchase that will impact your daily life for so many years, you owe it to yourself to do a lot of research. This article isn’t about which car to buy — you need to figure that out yourself, and you should do that first. Using Consumer Reports (along with your budget) can help you determine which makes and models to go with, and which cars tend to be good value buys. Once you’ve figured out what you want to buy, use Edmunds and Kelley Blue Book for pricing information. They’ll give you detailed info based not only on year, make, and model, but also condition, mileage, etc. Also keep in mind your location; just like everything else, cost of living impacts car prices. Vehicles are cheaper in the Midwest than on the coasts, especially when it comes to used cars. Walk into the dealer knowing what other people have paid for the car you want, its invoice price, its MSRP, and your “walk away price”: the most you’re willing to spend. Know how much you can ask for off. The big question with negotiating a car purchase is how much you can reasonably ask off the retail price. New. As explained above, a salesman isn’t busting your balls when he says he can’t go too low below the MSRP of a new car; he’s really not going to make much money if he does. It’s reasonable to ask for 5% off the invoice price. He’ll probably counter back, and you’ll end up somewhere between the invoice price and the sticker price. Used. With used cars, there can be more wiggle room. Throw out something like 20% off. You’re probably not going to get that, but it’s a good place to start negotiating up from. Be prepared to work your way through multiple offers and counteroffers, and don’t be afraid of “offending” the salesman with your asks. Who cares? You won’t even remember his name a couple years from now. You’re both there to make a deal, and if you do, you’ll both benefit. Shop multiple dealers. Don’t be afraid to use the tactic of mentioning that you can get a better deal down the street. Just be sure you can back up that claim. Play the dealers/lots against each other and see who wants your business more.